When you purchase a home, the seller is a person who has extremely strong ownership rights to the property, as do his family and heirs. There also might be additional individuals who have ownership rights to the property you are buying. These may include governmental bodies, or people who have unpaid claims against the property. The property thus may be sold without any of these part-owners knowing. However, if these part-owners surface and make a claim to the property, will you get clear title? Title insurance insures you, the buyer, against such cases. 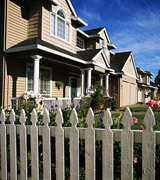 Title insurance companies protect you, first, by title searching for any possible part-owners, and second, by bearing the costs to settle any disputes over ownership not prevented by the initial title search.